To Infinity and…what, that’s only BT? So I now know why my internet has been so erratic since Friday. 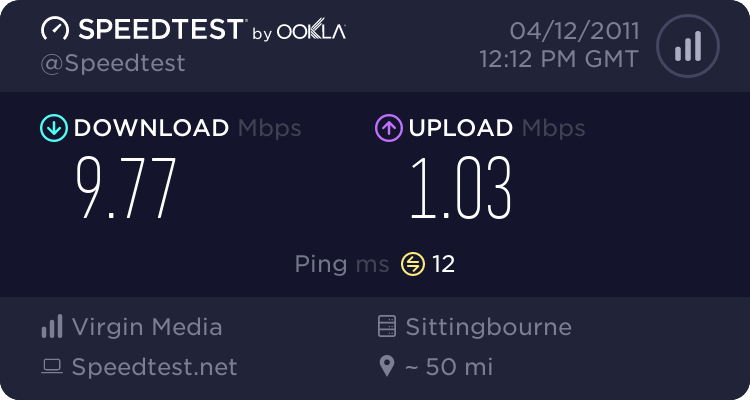 Virgin Media upgraded the upload speeds round here a month early!